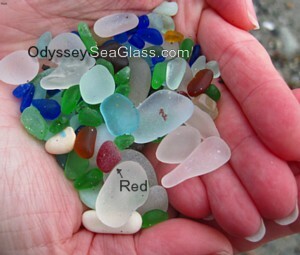 your Odyssey Sea Glass News #061 - Beach or Beached?! Lin and I took advantage of fair weather last Tuesday to head for North Beach near Port Townsend, WA; one of the best areas for sea glass in Washington. Here is a photo of what we found in the first hour. Since there was so much great sea glass at the festival this past fall, we felt it would be nice to feature the primary photos over a period of time. This rare glass tube is an opium bottle most likely from the days of Chinese laborers. It's not only the Santa Cruz Sea Glass or other festivals that feature fascinating photos of sea glass. There is always something interesting when checking out the collections of others. Here on Odyssey Sea Glass, there are lots of photos! We invite you to share yours. Before moving any further into the first days of February, we give you the winner of the January 2012 Sea Glass Online Digital Photo Contest. 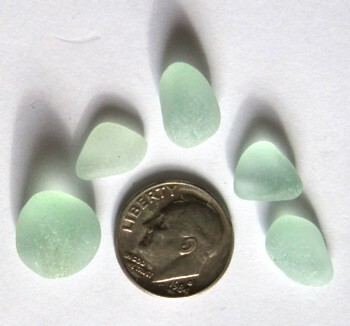 NOTE - To see all the photos in one place, go to our Sea Glass Photo Gallery page. Now, we announce the winner for January 2012! "Post Storm" by Lynne of Milford, CT. This month, February 2012, Lynne will have her photo on OdysseySeaGlass's front page and other pages until the next winner is announced. 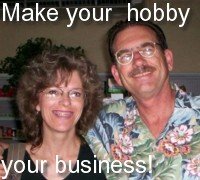 Lynne - I can link that photo to a web page of your choice. If that sounds good, drop me a line at Contact Us. 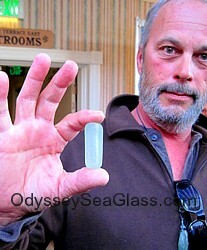 To keep up with the photos submitted and updates on Odyssey, bookmark this link - https://www.odysseyseaglass.com/sea-glass.xml or our blog page at https://www.odysseyseaglass.com/sea-glass-blog.html. 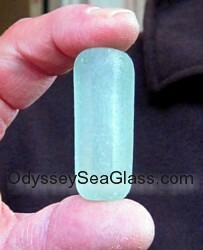 Be sure to subscribe also to our very occasional Odyssey Sea Glass Newsletter. Permalink -- click for full blog post "Beach Magic - January 2012 Sea Glass Photo Contest"
Permalink -- click for full blog post "Oh marble tree..."
Permalink -- click for full blog post "Selling Sea Glass"
Permalink -- click for full blog post "Sea Glass from Mazatlan"
Permalink -- click for full blog post "Simmons Beach - Kenosha, Wisconsin Sea Glass Report"
Permalink -- click for full blog post "Crystal Cove State Beach"
Permalink -- click for full blog post "Emerald Ice"
Permalink -- click for full blog post "2nd Annual Sea Glass Festival - Cayucos, California"
By: Daren Criswell - Bethany Beach, Delaware Where was this photo taken? Rincon, Puerto Rico Pools Beach Date, time of day, and weather conditions? Permalink -- click for full blog post "Sea Crystals - December 2011 Sea Glass Photo Contest"
Permalink -- click for full blog post "Gulf Shores Vacations, Alabama"
Permalink -- click for full blog post "K is for Kristin! 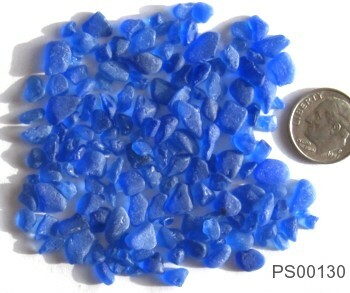 - December 2011 Sea Glass Photo Contest"
Permalink -- click for full blog post "Grand Case Sea Glass Report"
Pictures of Sea Glass - Upload your pictures and photographs of sea glass here. You can see what others are finding, compare, and share the excitement! Permalink -- click for full blog post "Pictures of Sea Glass"
Permalink -- click for full blog post "Beginner's Luck - January 2012 Sea Glass Photo Contest"
Permalink -- click for full blog post "June 2010 / Near Thomaston, ME"
Permalink -- click for full blog post "Exeter, New Hampshire - Sea Glass Report - Poor"
Permalink -- click for full blog post "Labor Day weekend @ High Island, Tx. - Sea Glass Report"
Sep 16, 2010, Does anyone in Japan collect sea glass? Permalink -- click for full blog post "Does anyone in Japan collect sea glass?" Sep 12, 2010, Sea Glass Enthusiasts in Ventura, CA? Permalink -- click for full blog post "Sea Glass Enthusiasts in Ventura, CA?" Sep 12, 2010, Hutchinson Island Florida Sea Glass? Permalink -- click for full blog post "Hutchinson Island Florida Sea Glass?" Permalink -- click for full blog post "Leo Carrillo, Malibu, CA Sea Glass Report"
Beach Bracelet, Sea Glass Bracelet, Seaglass Jewelry - made by Lin using sterling silver, gold-filled, copper, or brass wire to wrap unique and original jewelry creations for you.! Permalink -- click for full blog post "beach-bracelet"
Sep 11, 2010, WALES: Anything collected there? Permalink -- click for full blog post "WALES: Anything collected there?" 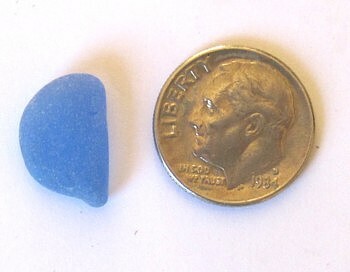 Permalink -- click for full blog post "Seaglass Pendant"
Sep 9, 2010, Best beach around NY/NJ? Permalink -- click for full blog post "Best beach around NY/NJ?" Permalink -- click for full blog post "Seaglass in Florida Panhandle"
Permalink -- click for full blog post "North Beach, Maryland - Sea Glass Report"
Permalink -- click for full blog post "Sandy Point State Park, Maryland - Sea Glass Report"
Permalink -- click for full blog post "West Beach- Lossiemouth, Scotland U.K. - Sea glass report"
Permalink -- click for full blog post "Bayview San Francisco Sea Glass Caution"
Permalink -- click for full blog post "Make Sea Glass Jewelry"